In this interview, Gaston Damag talks about his show at Art Basel Hong Kong and his views on keeping artistic identity amidst globalisation and art fairs. A Filipino artist based in Paris for over thirty years, Damag is strongly influenced by his Ifugao ancestry and European training. His works often feature folk imagery fused with a contemporary approach in the form of wood, steel, glass, and oil painting. Damag grew up in Banaue in the northern Philippines, a UNESCO World Heritage Site known for its 2,000-year old rice terraces. Tourism and modernity, however, have had a great impact on the community over the years, a phenomenon that Damag continues to explore in his latest show. Entitled Resemblances, the exhibition was presented by The Drawing Room and showed from 13-17 March. Gaston Damag grew up in Banaue and has been living in France for over 30 years. Damag’s artistic approach fuses his heritage, background in ethnology and anthropology, and European training in the fine arts. He often uses wood, steel, glass, and oil painting in his works. Damag’s art has brought him to exhibit in various museums in France, Luxembourg, the USA, and the Philippines. 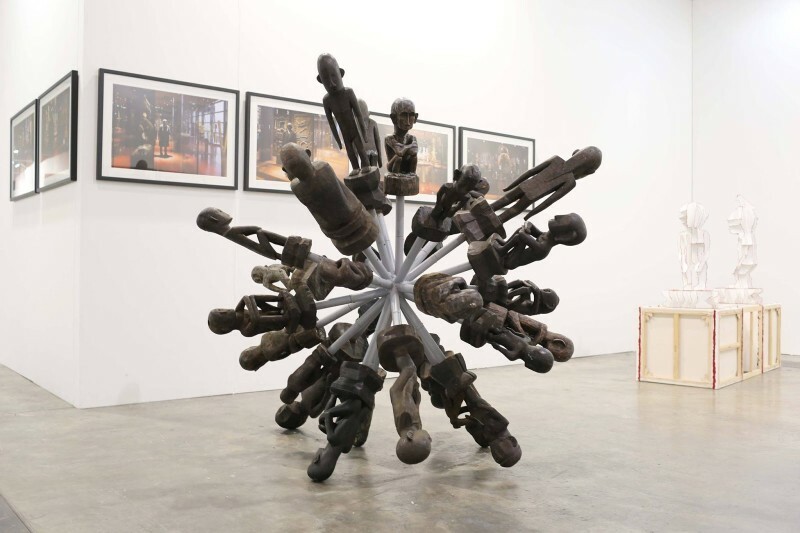 He has also participated in art fairs such as the well-known Foire Internationale d'Art Contemporain (FIAC) in France, Art Basel in Switzerland, and recently, in Art Basel Hong Kong. Damag’s artistry can be traced to his youth in Banaue, where, as a teenager, he would sculpt bulul - wooden icons representing rice guardians - to sell to tourists in the area. Banaue is a municipality situated in the mountainous Ifugao province in the northern Philippines. It is most known for its majestic 2,000-year old rice terraces and considered a World Heritage Site by UNESCO. Because of the importance of rice in the Ifugao people’s daily life, the bulul figures prominently in their visual and oral cultural expressions, as well as in Damag’s art. Tourism and modernity, however, have had a great impact on their community over the years. In this year’s Art Basel Hong Kong, Damag has come up with all-new works to present in the fair. 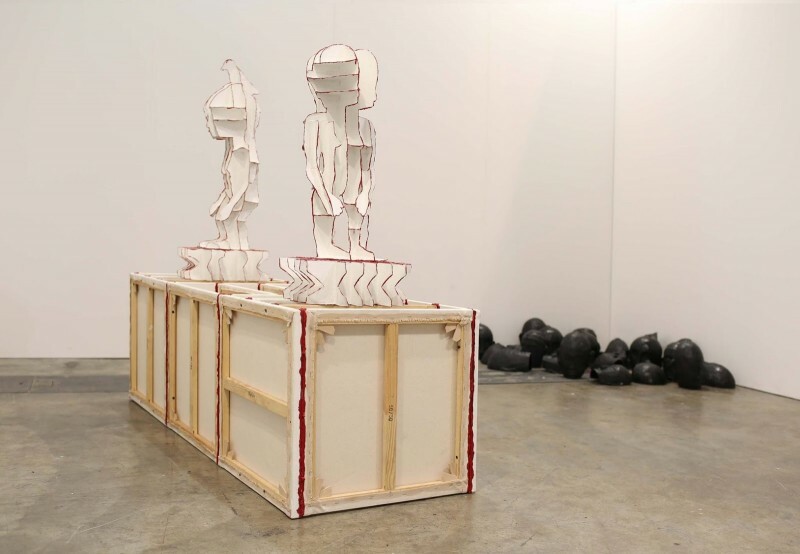 Entitled Resemblances, the exhibition was organised by The Drawing Room, a gallery based in Manila and Singapore, and showed from 13-17 March. Contributor Lai del Rosario sits down with Damag to talk about his views on keeping artistic identity amidst the fast-moving world of globalisation and art fairs. Resemblances - ressemblances in French - pertains to the idea of the mirror. What is really being seen and interpreted? What is behind our culture? In our world today, the space of interpretation becomes very large. Are artists really seeing what is behind their work? What was your motivation for this idea? Artists will always have personalities. You can feel from their works if they are from Asia or America. It is vital that art has a personality. 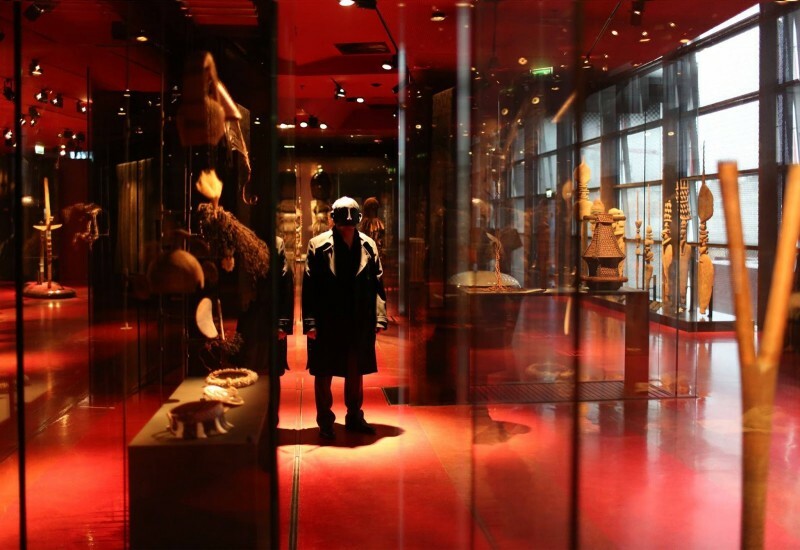 For the show, I came up with a series of photographs called “Shadows of Cultures” with myself wearing masks and posing among objects from the Musée du Quai Branly collection in Paris. I think artists are always behind a mask. This mask has an identity that no one can take away. With globalisation, however, art becomes commercialised and this masks the reality of our differences. I do not agree with globalisation in art. Is your show a critique of globalisation? No. It is more about the idea of making my art given my background. I believe that as an Ifugao, I see things differently and I put this in my work. I use the bulul a lot, both as a signature and as a jump-off point to get to another place in art history. It is also a tool to discover other forms within the form. For example, using the bulul as pretext, I came up with four pieces for the show, among them a series of photographs, two sculptures, and an installation. All of them contain the bulul in one shape or form. How do you think globalisation has affected the Ifugao community? There are cultural and structural changes internally. For example, because of global warming, the farmers cannot plant what they used to and are unable to harvest enough rice for the community. Instead they have to buy lowland rice, which is more expensive. The Ifugao also make more kids now so we need more food supplies than ever. Another factor that contributes to the change is that there are fewer farmers now. Before, most men would plant rice, but now there are other roles they can do, such as become seamen. There is a changing cultural mentality that is affecting our families and livelihood. The idea of progress has also changed. Before, the Ifugao made small things and built what they could. Now, progress is defined by scale. When before the Ifugao used kugon (a type of grass) to make thatched roofs for their huts, they now use corrugated metal sheets. These metal roofs have become a symbol of wealth. When I was young, there were only four houses with corrugated roofs. Today, metal roofs have overtaken most traditional houses. But if you look around, there are many abandoned, unfinished structures, probably due to a lack of funds. Maybe progress came too fast. How do these factors influence your work? I personally believe in building smaller houses but some politicians in my village think this is anti-progress. In the past, I have often used corrugated metal sheets in my art to tackle the idea of progress. For Art Basel, I came up with “Impact”, a sculpture made up of exploding bulul forms. My idea of an impact is not a destruction or of blowing things up, but of getting into the heart of a subject. I wanted to explore the impact of globalisation on the Ifugao community. How is Resemblances different from other shows? The context of the show is in a commercial place like Art Basel. As an artist, I think differently if my show is in an art fair, as opposed to in a museum. Honestly, it is stressful preparing for a fair as I have to play with what is sellable and not sellable art. In the context of a museum, the stress I have is more intellectual. On an art historical level, Resemblances is very classical. For instance, with the work “Painting”, I created a bulul using strips of canvas. I wanted to explore the idea of using an element of painting (canvas) to make sculpture, and in turn, of making painting using sculpture. The work is a tribute to painting. How do you think living in France has influenced your work? I think I have been strongly influenced by France in an intellectual sense. I am very Cartesian and scientific in my thinking. I always try to relate meaning in my works to art history. The French often think that as soon as an artist touches a canvas, it is already a painting and part of art history. At the same time, how I see and observe is very much a mixture of my Ifugao and French experiences. Lai del Rosario is an art manager and freelance writer. She started her professional writing career in 2006 as a copywriter in an advertising agency, and has since been crafting articles on culture, lifestyle, and art exhibitions. She is currently based in Paris and has an MBA degree in Art and Cultural Management. She is simultaneously developing an online platform that promotes creative spaces in cities.